Alaska has a history and culture as vast and beautiful as its landscape. From indigenous culture to the remnants of the Russian era, there’s a lot for visitors to soak in. As the state capital, Juneau has a great array of cultural opportunities, including a good mix of museums and other cultural sites. The recently expanded Alaska State Museum has both permanent and temporary exhibits on pretty much every aspect of local history and culture. Set aside a few hours, and take your time perusing the fascinating mix of exhibits. During the summer months, the museum also hosts regular cultural events, including music and other performances. If you’re keen to learn a thing or two about local history, then hit up the Juneau-Douglas City Museum. This small museum packs a big punch, with great exhibitions on Juneau’s culture and industry. Some of their most interesting exhibits look at Juneau’s transformation from tiny settlement to a booming mining and fishing city. The Juneau-Douglas City Museum is open all year round, and entry is free during low season. Drink some real Alaskan culture at the Alaskan Brewery Company. The state’s oldest brewery, these guys can really make a good beer, in part thanks to unique ingredients like Sitka spruce and pure glacier water. They also produce a great mix of seasonal specials, so there’s always something new to try. Alaskan Brewery Company has a store in the center of town, where you can pick up some great souvenirs and gifts. From there, it’s possible to take a free shuttle out to the brewery, which offers both tours and tastings. There’s always something interesting on at the Juneau Arts and Culture Center. This is the place to be if you’re interested in contemporary culture, or see the work of up-and-coming Alaskan artists. The best time to visit is the first Friday of every month, when they usually inaugurate their latest rotating exhibitions. The Sealaska Heritage Institute is a non-profit organization dedicated to promoting south-eastern Alaskan indigenous culture. Their exhibits include some fascinating historic artifacts, and special events are often held during the summer months. The historic Saint Nicholas Russian Orthodox Church is a reminder of Alaska’s Russian history, and a key landmark in Juneau. Well over a century old, the church boasts impressive Russian colonial-era architecture, replete with a gleaming golden dome. During high season the church is open daily to visitors, and has an attached gift shop. Every week, the Mendenhall Glacier Visitor Center puts on its traditional fireside lecture. The lectures usually focus on some aspect of local history or natural heritage. These talks have been taking place for around five decades, and are a great opportunity to meet locals. 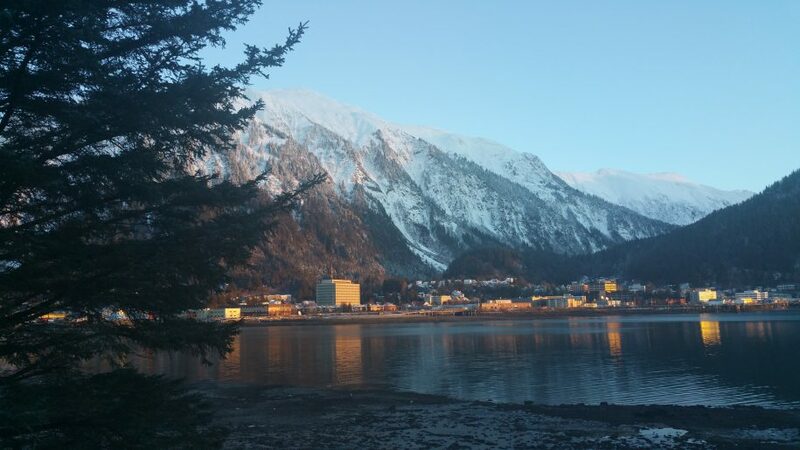 The small community of Gustavus is located just outside Juneau, at the mouth of Glacier Bay. It’s a popular day trip thanks to its charming culture and welcoming locals. Downtown, you can find some interesting gift shops offering unique local pottery.